The rhetoric of republican motherhood describes the ostensibly ideal female patriot as domestically focused, self-sacrificial, deferential, and defined by her relationship to others, particularly her husband. 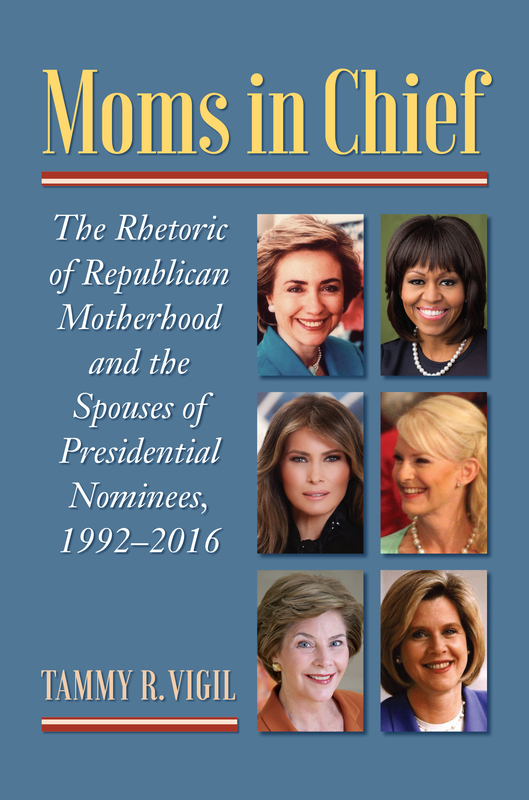 Moms in Chief combines the study of history, gender, communication, and politics to show how the spouses of the major parties’ presidential nominees from 1992 to 2016 at times fulfilled, at other times flouted, but at all times were handicapped by this stereotype. From Barbara Bush as dynastic mother to Michelle Obama as “Mom-in-Chief,” from Laura Bush as all-American wife to Melania Trump as model immigrant, from Teresa Heinz Kerry as assertive heiress to Bill Clinton as past president and prospective first gentleman, Tammy R. Vigil explores the function of presidential consorts in their spouses’ campaigns, and she scrutinizes how their portrayal by opponents, the press, and themselves has challenged or reinforced perceptions of the role of gender, and the place of women, in American political life. In the unofficial contest between candidates’ spouses, there are winners and losers. What is at stake, Vigil’s research suggests, is the very definition of women as American citizens and political actors. Tammy R. Vigil is associate professor of communication studies at Boston University. She is the author of Connecting with Constituents: Identification Building and Blocking in Contemporary National Convention Addresses.